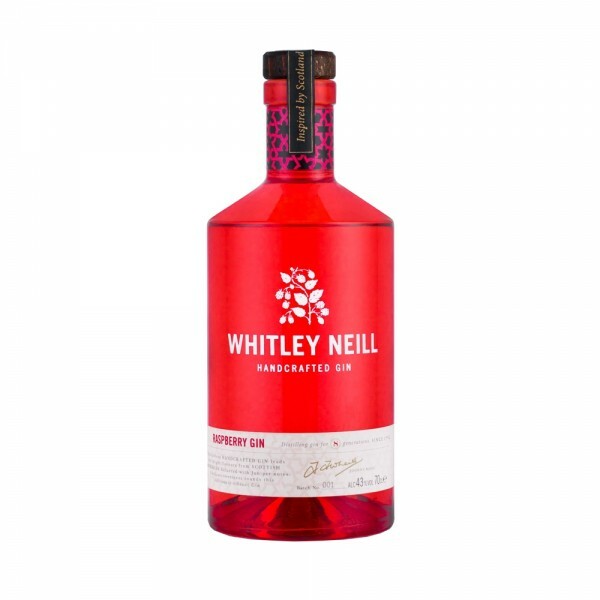 Following on from the huge success of their Rhubarb & Ginger Gin, Whitley Neill has decided to create a seasonal gin that truly makes the most out of another British favourite, raspberries. Whitley Neill Raspberry Gin combines the bright flavours of Scottish raspberries with balanced Juniper notes, creating a delicate sweetness that rounds this deliciously vibrant gin. Perfect for creating summery-sweet G&T's or, as a lively base for cocktails. Whitley Neill products embody the essence of discovery. If you're a Whitley Neill fan then this bright red bottle of premium gin is a must-have addition to your already colourful Whitley Neill back bar!